A few weeks ago I heard the theologian Matthew Fox discuss the different paths we walk in life; in his parlance, the different vias. I was particularly struck by the way he talked about the via negativa, which he characterized as periods when we experience suffering, darkness, silence, and solitude. Fox posited that our discomfort with the difficult is mirrored by our avoidance of literal darkness: “Everything Is Illuminated” is not just a book title — from nightlights in kid’s bedrooms to flashlights on smartphones we tend to enlighten our worlds rather than face the dark in them. How breathtaking the night sky is when we are away from the city and really see the stars! And how ghoulish a face at night looks when bathed in the blue light of a computer screen. Perhaps there is something almost sinister about light if we overuse it. For a good stretch my sister and brother in law held weekly “Blackout Tuesdays” in their home: when the sun went down, no machines were used until morning. This was inconvenient for sure — candles instead of lights; meals without ovens; questions without the easy answers found in computers. But by their reports, both parents and children went to bed with satisfaction deep in their bones — proud that they’d gone off the grid and made it, and also enlivened by the experience of living in the dark. A few weeks ago my son Rio and I were walking in Dimond Park in Oakland, where the grass and playground eventually give way to a dirt trail that winds up the canyon. At one point, the stream we were following led to a dark tunnel. The path weaved around and over it, but Rio wanted to go straight ahead. It was a warm day, the kind when you can lift your face to the sun and find its warmth filling you up until worry has no room. The tunnel, on the other hand, looked cold and foreboding. But I followed Rio’s lead, and we began walking in a tunnel so long we could not see daylight. As the creek trickled by and my hands groped their way along the walls, I started to feel strange. At first irrational thoughts shot through me: Could a train be coming? Could there be no exit at the end? Could the entire tunnel spontaneously collapse and trap us inside? Would I lose Rio forever to the dark? But then another feeling came — without the gift of sight, my other senses were more acute: the feel of the hard granite; the soft sound of water over rock. I suddenly felt like a monk walking back to his hermitage at night, the town’s creek and the walls of the monastery my only guides home. After about five minutes, I finally saw a pinhole of light in the distance. As we reached the exit, I asked Rio if he had felt scared. When the nurse called me at 5 am the next morning to tell me my father had simply stopped breathing, I was not surprised. I returned to the center and stood next to my father’s dead body. I had never been so close to one. I touched him as I had the night before, although of course it was completely different now. I now truly understand that the skin is an organ. And yet I continued to graze his stiff cheekbone with my knuckle and did the only thing I could think of to ease his spirit into whatever realm it reaches next: I made a circle with my fingers around my own beating heart and sprinkled whatever they found there onto his corpse. I stood there in silence for a long time. Then I said goodbye. 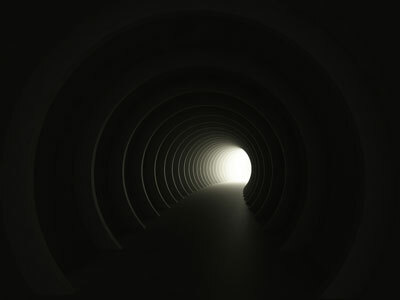 I’ve tended to walk around life’s dark tunnels, or hold my breath through them. End, End, End seems to be my mantra. But on that morning, I was content to touch life’s cold stone. And so I must wade into imperfection if I am going to put letters down, which I’ve found I must do or risk stultification; if I’m not doing it, be wary of my practiced smile. So what story would I tell if I let myself slip into it? If I didn’t let precognition destroy my mission? I’d probably write about the joy I felt last night just throwing the football with Rio in the park as Stella sprinted circles around us, the early nightfall no reason to hem ourselves in. I’d probably write about a young friend I just made, his earnest curiosity so inspiring because he’s letting everything in; the way he described his parents, how truly loved he felt growing up. I’d probably write too of learning that an old acquaintance took his own life last week, how I sat there at the computer crying bitter tears of frustration and loss; not for me, because I scarcely knew him really, and not even for him, because I do believe that solution might have brought him some relief. No, I was really crying for his son, who in my heart was my son, and how losing a father like that would make no sense. 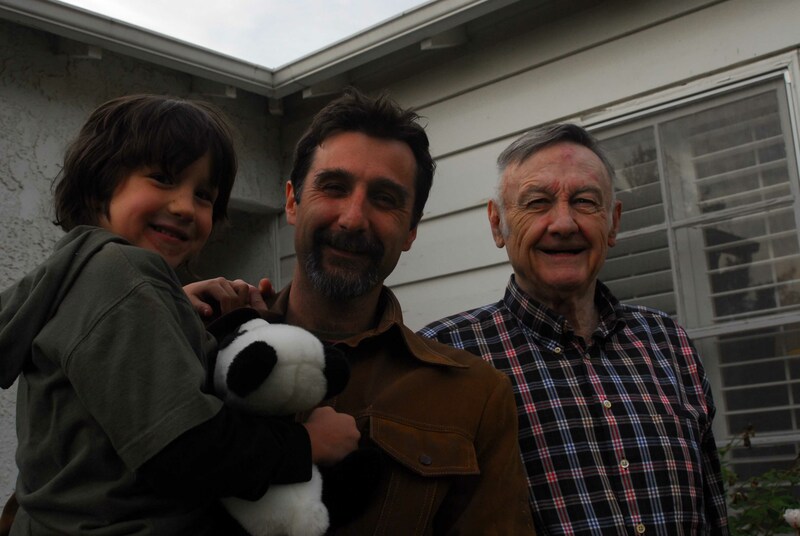 No matter how flawed my friend was, he was surely still his young son’s hero. I never imagined as a child the pain of adulthood, and so adults’ odd behaviors often baffled me. Rio has seen me cry, but he most likely knows little of the ugly movies that sometimes run loops in my head. How are children supposed to understand when those internal cycles negatively affect our external actions? They will, in their own time, but meanwhile isn’t one of my duties to shield Rio from the sad math that never adds up? And yet how fake this can be. It’s so rare to see authenticity, as if exposing weakness is not in fact a strength, as if life is not something we stumble through but rather a red carpet we must glide down. Enough with the pretty pictures. And mine is no sob story; the little I knew about my acquaintance is that his demons were louder and meaner than mine. A wise person I know recently said that the best he could do with his demons was to study them as though they were teachers. To imagine honing this skill such that what we learned could even be shared with the people around us! Talk about a service. But I tend to duck and hide when my demons show up — almost an adult version of what I did with my blankets as a child when I’d imagine scary monsters in my bedroom. It’s almost as if I have an isolationalist foreign policy with myself: don’t worry about those dark cells operating overseas. I dream of an alchemy where I meet those forces, not to conquer them, but to engage them in some diplomacy. At least then I would have something to show for my grapplings — not shadow-infused irritation masquerading as communication but some real stories from my trip behind the curtain. I surely didn’t see this much in the men I grew up around, and I think that’s part of what made me so sad about my friend’s passing. There seemed something so male about it: his feelings of failure in a world of pressure; his dark pleasures in a world of prescription. There were a few times where he shared openly with me about his shadows, but I’m not sure he found a steady way to integrate these into his life, and so he locked them up so tightly he took away his own life. I cried both for his son’s pain and the way this lineage seems to be passed on so easily from male to male. And so this all swirled as the ball sailed through the air between me and Rio. I can surface my painful stories in an instant, but unless I can transmute them into something useful they are really my own burden to carry. Not to say they should never be shared — in fact, to be trusted with another’s tribulations (and vice versa) can be an exquisite feeling — but I don’t think we should take this kind of downloading lightly. It’s instructive to hear body workers talk about the care they must take to avoid internalizing the pain they encounter in patients; it’s a fine, learned art to both share and receive our dark sides. We can give up the costume, but this doesn’t mean throwing our clothes on the floor. Or hitting kids with our shoes. After Rio went to bed, I shared with Annie some difficult feelings I’d been carrying. She listened and offered comfort. My arms found her more than usual in our sleep.